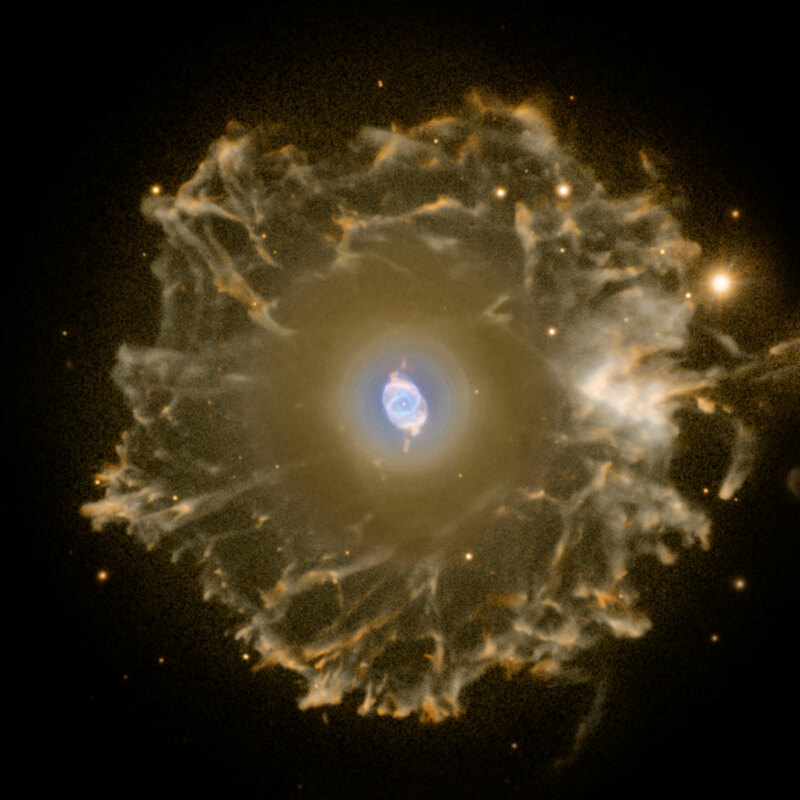 An enormous but extremely faint halo of gaseous material surrounds the Cat's Eye Nebula and is over three light-years across. Within the past years some planetary nebulae been found to have halos like this one, likely formed of material ejected during earlier active episodes in the star's evolution - most likely some 50,000 to 90,000 years ago. This image was taken by Romano Corradi with the Nordic Optical Telescope on La Palma in the Canary Islands. The image is constructed from two narrow-band exposures showing oxygen atoms (1800 seconds, in blue) and nitrogen atoms (1800 seconds, in red). Position (Dec): 66° 38' 0.47"